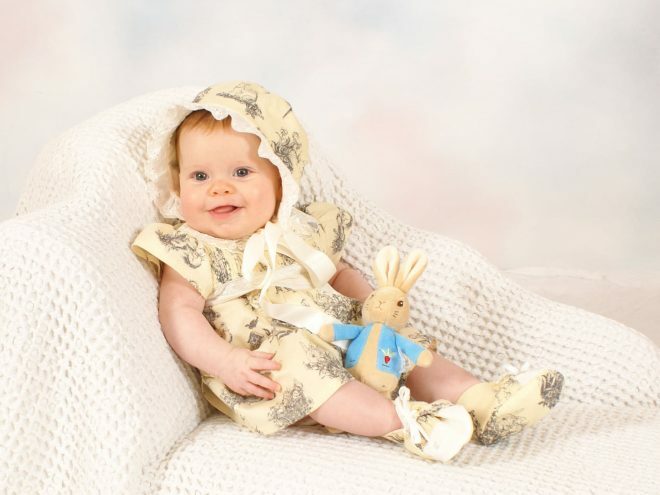 Over the years I have developed a series of unique designs for vintage inspired outfits and accessories ideal for babies, toddlers and children, as well as a number of figure loving occasional dresses and day dresses for women of all sizes. My focus is on creating vibrant yet classically styled quality clothes, booties and fashion accessories that are made to last and are suitable for those with sensitive skin – from traditional cotton pyjamas to silk Christening gowns, I love adding finishing touches to everything I make. I use a variety of patterned soft fabrics and high-end materials that complement the vintage style that my clientele appreciate, so whether you’d like to select something “off the shelf” or would like a bespoke item, I’m positive that I have the perfect colour and design options for your needs.